Today I’m thankful for Fleet Feet Sports Tacoma! I have spent the last 5+ years “leading” (I’m too slow to call myself the leader, more like directing from the back of the pack) first the stroller group run, and then the Tuesday night run. I have loved every single second spent volunteering with the store, leading the run groups, and making some amazing friends. Fleet Feet truly changed my running life, and if not for the support and gear they offer their volunteers I would not have been able to afford to continue running after we were down to a single income. They helped keep me going and growing, and treated Sky like she was the best friend the store had. She still loves running and visiting the store to this day! 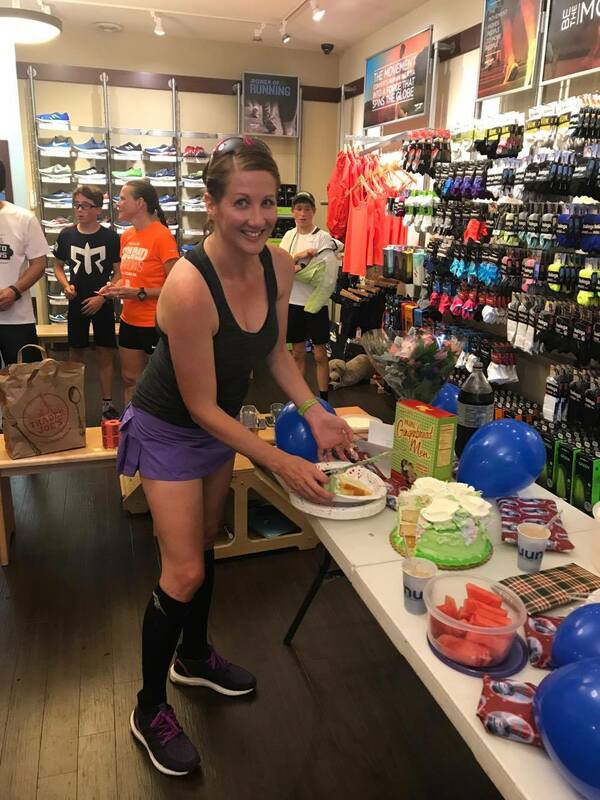 I feel like I have always received way more than I’ve given with support from the store and other runners. I know for a fact I would not have had the courage to run my first half without the encouragement from the run group, and I never would have PR’d the half that I did without the Tuesday Night runs pushing me to my pace limits. Week after week…such an awesome group of people! This last Tuesday was my last run as a group run leader. It was a hard decision to make, but it comes down to what is best for my body. Given some of the aches and pains that I have with road running, and that those aches and pains are not an issue (or as much of an issue) when trail running I decided it was time to take care of my body, and run in a way that will allow me to still be running with I’m 90 (lets hope!). Sky asked me the other day if I’d run her first half with her, if and when that happens I want to be able to do it. With that long term running thought in my head I pounded my last 3 miles of pavement with some of my favorite people in my favorite run group. 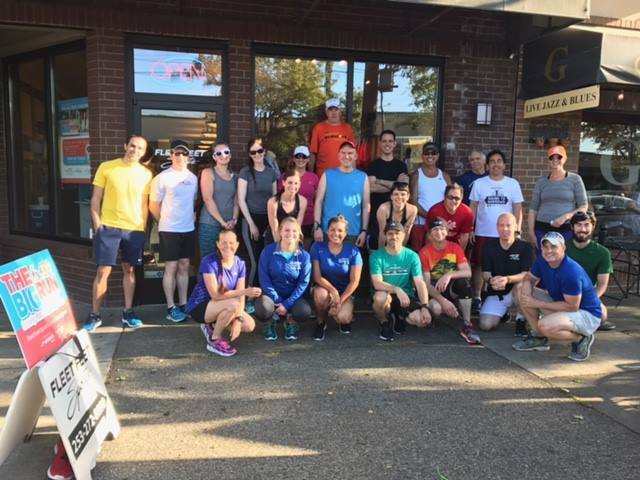 A huge Thank You to Fleet Feet Tacoma, and every single stroller runner/walker and Tuesday Night group runner out there. You’ve all made me smile and helped me be a better mom and runner! I’ll see you all on the trails I hope! Fleet Feet Forever!